Welcome to Pikalily, an award-winning food, travel and lifestyle blog. We are Nial and Helen, a happily married couple from Northern Ireland, who share a passion for food and travel among many things. We became parents to our beautiful boy Lewis in 2017. We’re also in the process of building our own home which we will be moving into in 2018. We want to share our food, travel and self-build adventures with you through our blog. We are fortunate to live in one of the most picturesque areas of the UK – Newcastle, Co. Down, “Where the mountains of Mourne sweep down to the sea”. 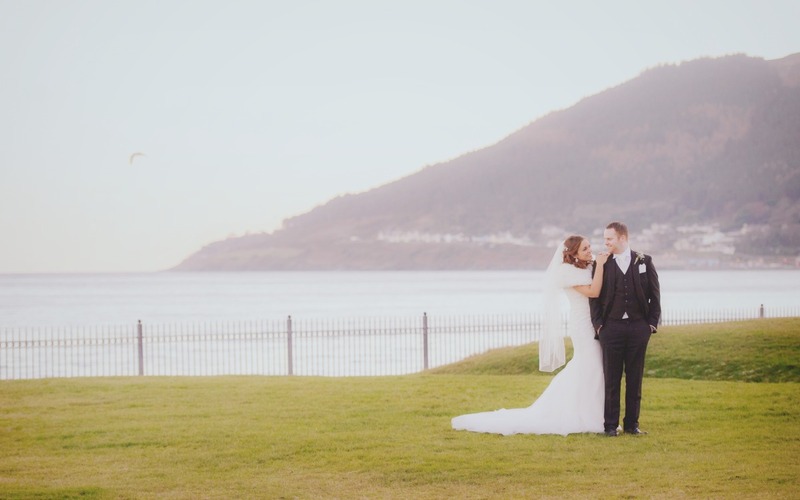 In fact, we are pretty much blessed with the location of our home as looks out on the Irish Sea and backs on to the foot of the Mourne Mountains. It’s pretty spectacular. Our food, travel and lifestyle blog will mainly discuss recipes that we prepare in our home kitchen, a kitchen once owned by Helen’s grandmother Lily (the inspiration behind the blog name); reviews of restaurants and hotels we visit, ideas for home interiors and garden inspo, and lots of stories from our many travel adventures. Helen’s grandmother, Lily, herself spent many years in Canada, and many of her recipes have been passed down to Helen and have become an inspiration for this blog. We both love watching cookery programmes (Masterchef Australia being our favourite), reading cookbooks and travelling around the UK & Ireland, and Europe when we get the chance. Some of our favourite travel destinations include Barcelona, Dublin, Galway, Liverpool, Paris and Valencia. Now time for a little bit about each of us. Helen is an English Literature & Language graduate who has had a love of cooking and baking from a very young age. Helen regularly designs bespoke wedding cakes and cakes for special occasions (including the photo above which she designed and made herself for our own wedding). She has been decorating cakes for over 8 years and enjoys every minute of it. You will find out some of the techniques Helen uses when decorating cakes in this blog, including the art of sugarcraft. She also enjoys hosting dinner parties with friends and family and will be sharing many of her famous dinner party tips, ideas, and dishes with you. Nial is a sporting enthusiast who loves football (or soccer) and follows his beloved Liverpool football club (sometimes painfully). Like Helen, Nial enjoys experimenting in the kitchen both in creating and tasting new food dishes. Nial is a Digital Marketing Manager by day with the world’s leading wet processing company, CDE Global, and has worked with numerous local and global brands across a range of sectors having previously worked for one of Northern Ireland’s leading digital marketing agencies. We love eating out when we can and taking inspiration from the meals we eat, both in terms of flavour and presentation. Although we would not claim to be critics, we will be sharing our thoughts and reviews on restaurants we dine in through this blog. We will also be reviewing recipes from the many cookbooks we collect (we have built up quite a collection). Some of our favourite chefs include Heston Blumenthal, Tom Kerridge, Rachel Allen, Jamie Oliver and Lorraine Pascale. Our Favourite Restaurant(s) – It’s a tough one, as Northern Ireland has so many amazing restaurants, but our favourites would have to be Deanes EIPIC in Belfast, and Brunel’s or Vanilla in our home town of Newcastle. Our Favourite Destination(s) – We’re fortunate to live in one of the most stunning areas of the UK in Newcastle. Other travel locations we’re big fans of include Kinsale in Co. Cork, the Cliffs of Moher in Co. Clare, Liverpool in England, and Barcelona and Valencia in Spain. Feel free to get in touch with us at pikalilyblog@gmail.com. You can also connect with us on Facebook, Twitter, Instagram, Pinterest and Snapchat (pikalilyblog). We look forward to hearing from you!